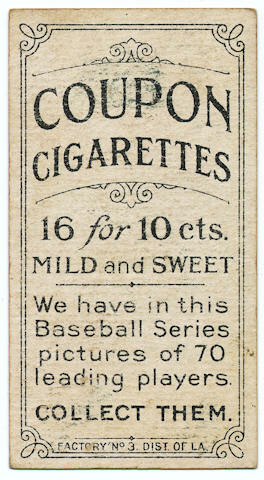 Set Description: Coupon Cigarettes issued this second of 3 series of cards in 1914. Using the same images as the T206 set on the fronts with the exception of the team and name being in blue versus brown for the T206. The backs have the "20 for 5 cents" saying. Type 2 coupons are the most common and where printed with a glossy finish making them easy to crack and crease. There is an awful lot of confusion concerning these cards among hobbyists due to the fact that they were issued in three different distinct series (each one several years apart) and used the same images that were used for the T206 set. As a result, T213 Coupon cards are sometimes mistakenly called T206 cards even though their front designs are slightly different. 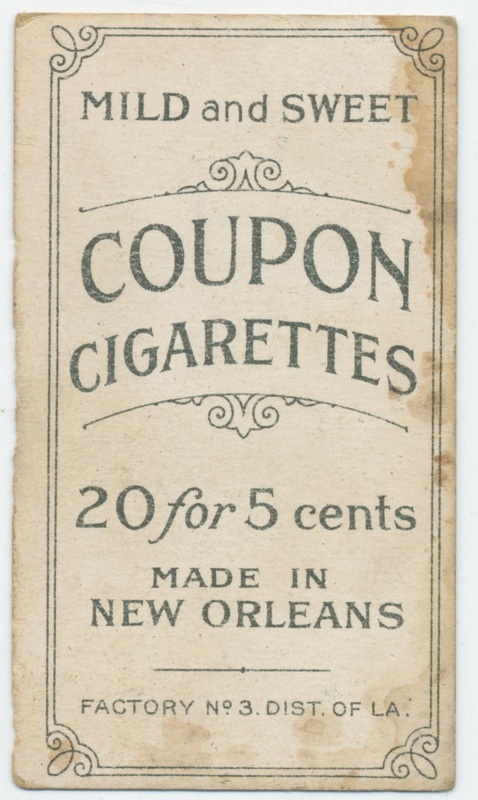 There were three series issued with Coupon cigarette packages between 1910 and 1919. The first series was made in 1910. A second series followed between 1914 and 1916, and a third set appeared in 1919. They were made and distributed around the New Orleans area, and like nearly all the card sets that appeared in that part of the country, they are much scarcer than those issued in the more collector-friendly Northeast and Midwest areas. 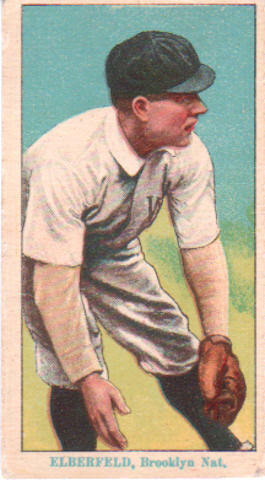 Card fronts have a lithograph of a player surrounded by a white border. Below the picture is the player's last name and team city, and a league if necessary. First series cards have the text in brown ink, while the other series use blue ink. 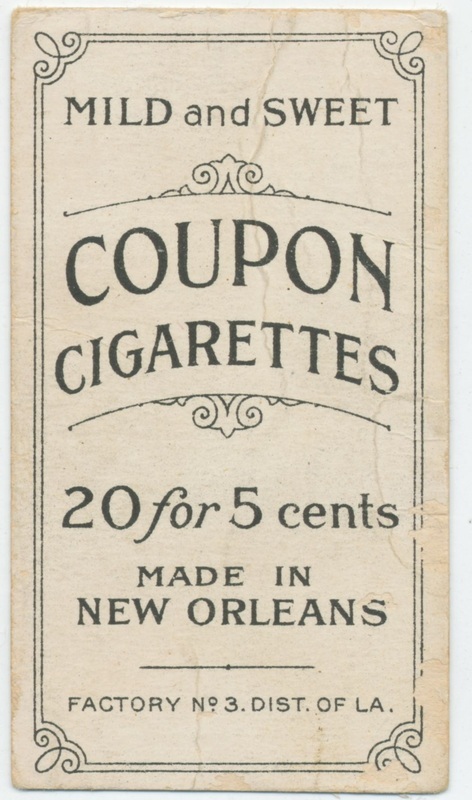 The cards can be easily distinguished by the back advertisements: Type 1 backs feature a generic advertisement for Coupon cigarettes, Type 2 mentions 20 cigarettes for five cents and Type 3 mentions 16 cigarettes for 10 cents. 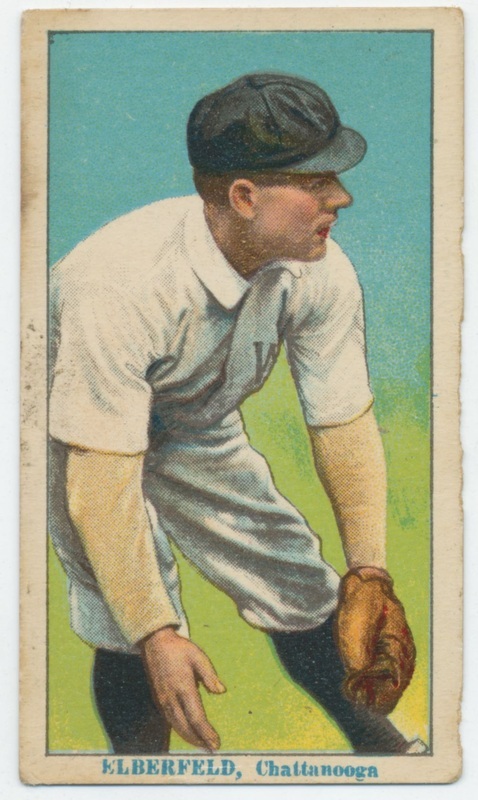 T213 cards were printed on thick paper stock, rather than cardboard, which has made them hard to find in top shape. Type 1 cards are the toughest of the three series. Type 2 is the largest series, and Type 3 features a rare variation with a Factory 8 overprint (the regular cards have a Factory 3 designation). 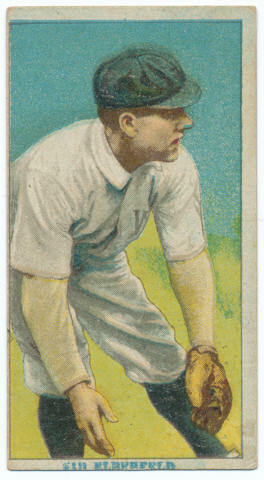 The card above is owned by John Elberfeld. Number of Cards in Set: var.